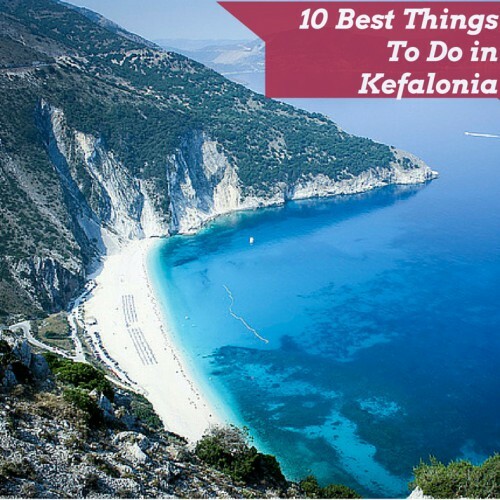 This is a to-the-point guide with the best things to do in Kefalonia, with our own – biased- review on where you should spend your time and money. 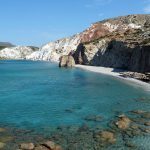 Best beaches in Kefalonia: Avithos, Ai Helis, Myrtos, Antisamos and Makris Gialos. We did not like the Lourdata beach though (the water is too deep, still it has a great scenery to watch while swimming). 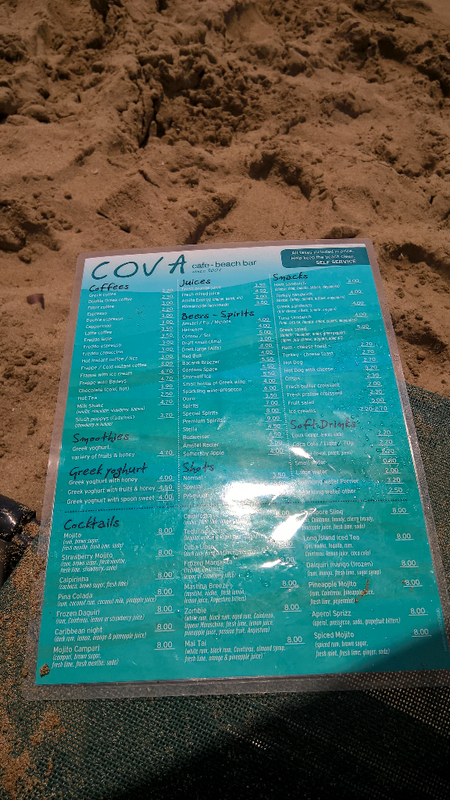 The beach has a bar which is called Costa Costa. For a set of two sunbeds and one umbrella, you will pay 8 euros if you want to be on the front raws of the beach and to enjoy the wooden sunbeds and you will pay 6 euros for the red sunbeds and umbrellas, which are on the back side of the beach. On August if you go after 11 o clock it is very difficult to find an empty set of umbrellas and sunbed and unfortunately, you cannot reserve one set from the previous day- the beach bar reserves sunbeds only for those who are staying for two or more months on the island. 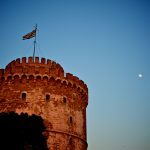 The coffee (freddo espresso, which is the Greek version of the cold espresso) costs 3.5 euros and a small bottle of water costs 0.6 euros. The Costa-Costa bar also serves food and fruit salads inside a wooden cantina. There is a free parking on the top of the hill, just before the beach, which has a capacity for around 150 cars in random spots, so it gets fills very quickly. From there you will have to walk around 80 meters down the hill..there are no steps, so if you have a stroller it is an easy walk for you and your baby. 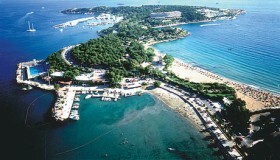 On Makris Gialos, you will also find water sports such as tubes, SUP, kayak etc. We tried the tubes and it was a lot of fun (10 euros per person for a 15min ride with the boat). You can tell the boat driver how rough the ride you would like to be ( i.e. if you would like him to throw you in the water or not). A set of an umbrella and two beds costs 7 euros. Freddo from the cantine (costs bar) costs 3 euros. 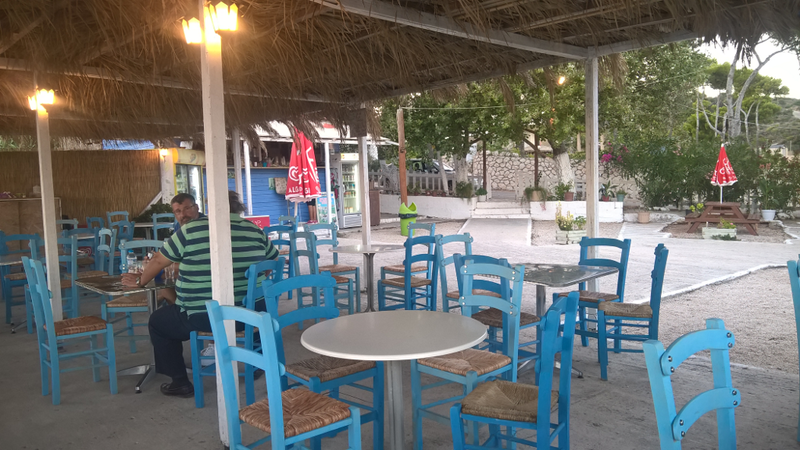 There are two taverns at Avithos beach. The Avithos preview tavern and “Enetiko”. 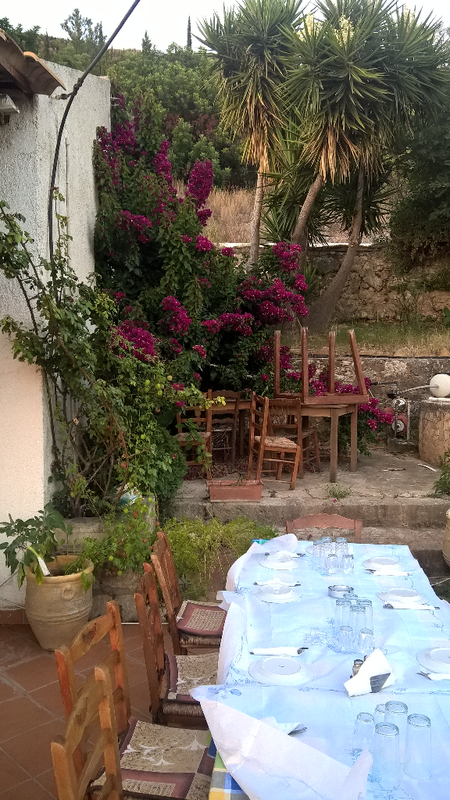 We ate at Enetiko, which serves great rabbit dishes, nice local food and it has normal prices. It also offers a nice shadow protection, which is important, especially if you have small children with you. The tavern offers an easy parking on its backyard. 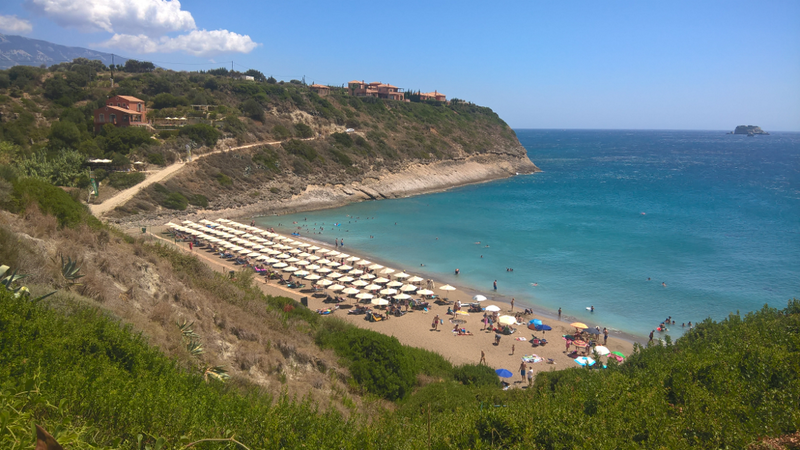 This is especially important during the peak season (July 20 to August 20), as it will be difficult to park at Avithos beach. 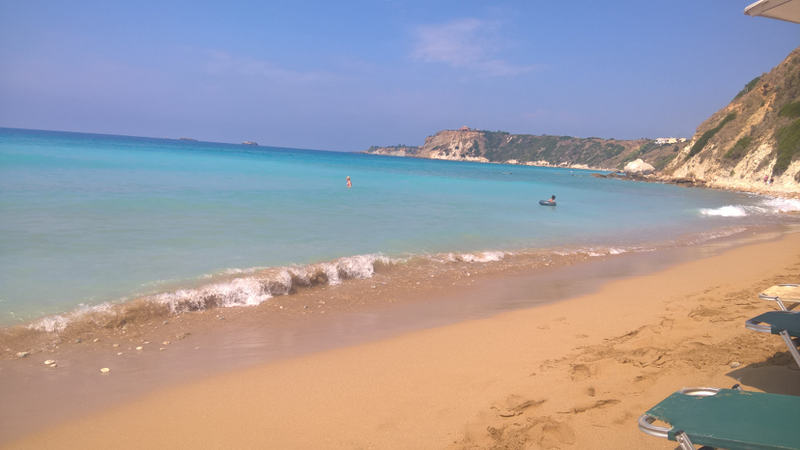 The sea at Avithos is not deep and the warmest we found in Kefalonia. There is sand on the beach and you will just find some stones in the first five meters when you enter the sea. The beach has around 60 umbrella sets and usually, you can easily find an empty set. There is a lifeguard watching the beach. 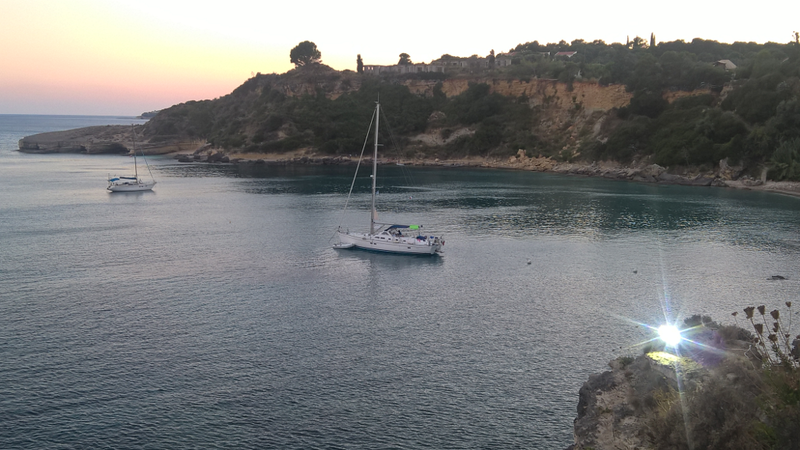 You need 50 minutes to get to Antisamos from Argostoli. Antisamos offers an amazing scenery, as you will be watching hills full of green while swimming. Korelli movie was filmed here. It has two bars, water sports and around 120 set of umbrellas. Here, you can easily eat, drink and spend a few relaxing hours. The water is warm but it gets deep quite quickly. 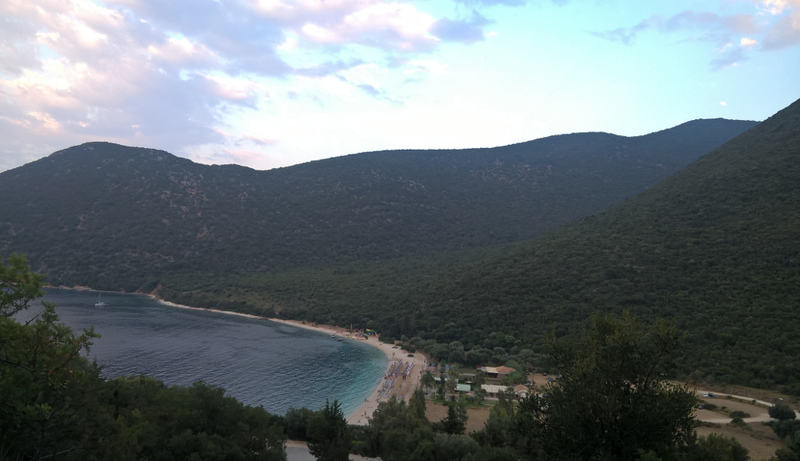 Antisamos is the best beach for snorkeling in Kefalonia. Just a few meters from the beach you will see a lot of fish and corrals, so bring a mask for snorkeling. There is an easy and free parking outside of the two bar-taverns at Antisamos beach. The beach has only stones and no sand. On the left bar, which is called “Mojito”, you will have to pay 13 euros for a set of two sunbeds and one umbrella. The espresso freddo( the Greek version of the cold espresso) costs 4 euros and is served with a free small bottle of water. On the second bar, the sunbeds are for free and you pay only what you order from them – they don’t have so nice sunbeds as the Mojito bar but it’s ok if you want to save some money. Important Tip: This beach is full of bees and they may even get inside the straw of your drink or coffee. Be very careful, especially if you have children with you. 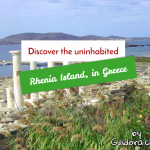 It is close to Avithos beach. The parking is not easy and there are 60 steps to go down to reach the beach. Ai Helis beach has a large, two km long sandy beach and crystal clear water. The waters here are not as warm as in Avithos. There are at least 140 set of umbrellas but we went at 13:00 during August and could not find an empty one.Go before 11 o clock to make sure you find a set of an umbrella and sunbeds or bring your own umbrella with you. 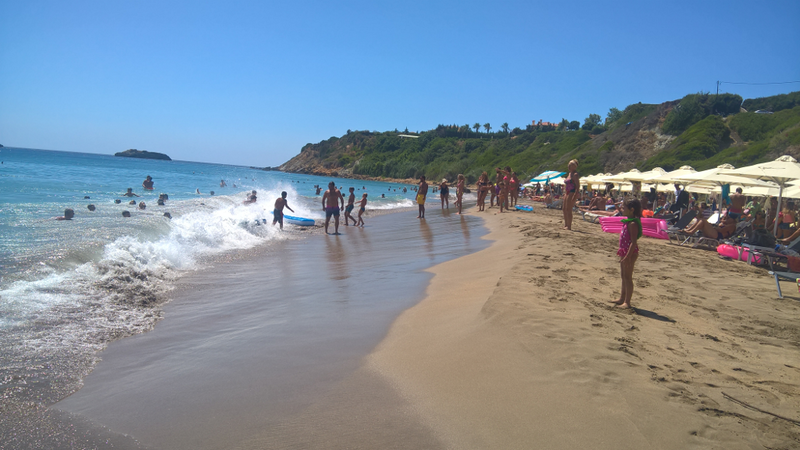 The beach is crowded mainly with young people and some families. Kids love the waves that rise on this beach. There is an area where you can play beach volley or beach tennis. There is a cantina which serves coffees, beers, ice creams etc. The cold coffee costs 2.5 euros. 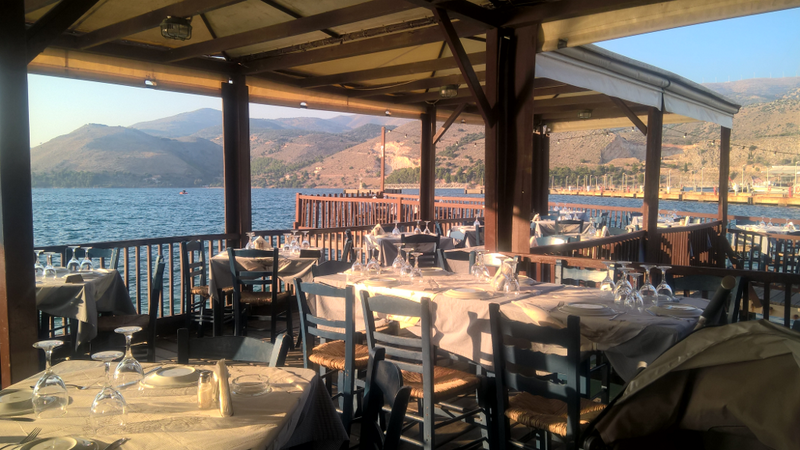 This restaurant is located at Lakithra village, around 8 km outside of Argostoli. It is built in an organic farm, in the yard of a nice house, so the feeling is very nice. No view to the sea. It’s a more gourmet restaurant with some organic ingredients coming from the farm of the owners. It is pricey. E.g you will pay 16 euros for a dish of salmon with spinach and potatoes and the Same price for a veal steak of 400gms. There are some cheaper dishes though at 10 euros. Salads cost around 8 euros. Great food and nice service with a more “upscale” feeling than the traditional taverns of the island. 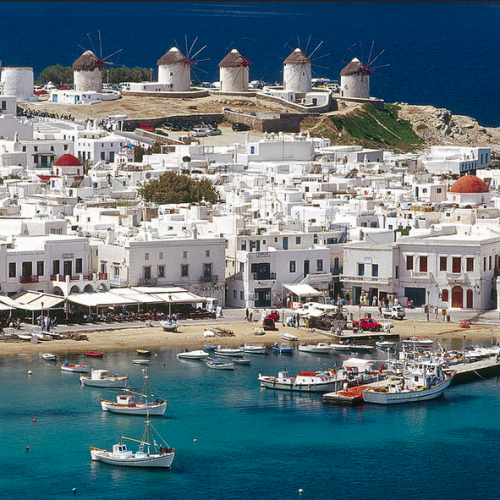 You will not find a lot of Greeks here. 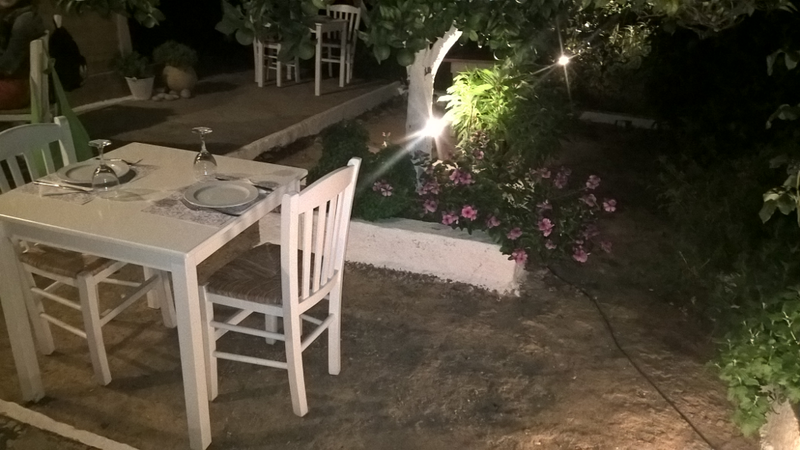 There is a free car parking, 500 meters from the restaurant, which is inside a farm- if you arrive at the evening be careful as you will have to walk for 500 meters in the road to reach the restaurant and the road has no lights, so the cars cannot see you easily. 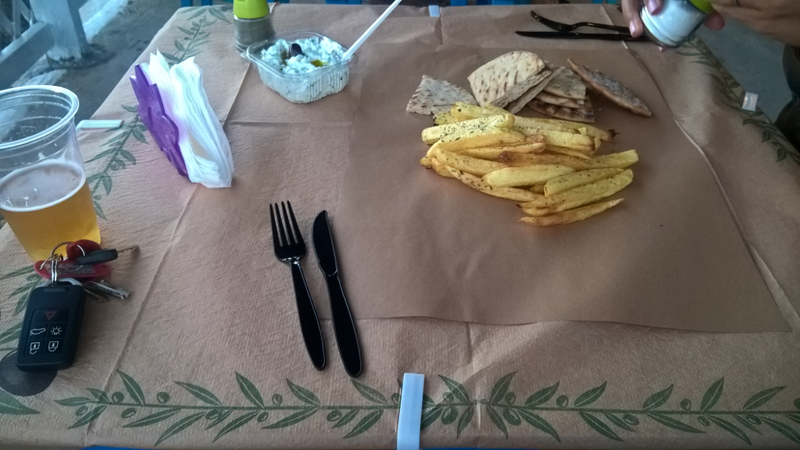 This is the most peculiar type of culinary experience we had in Kefalonia. This is not a restaurant and it’s not either a tavern. It’ s a wooden cantina with around 15 tables which serves food on paper, with plastic forks..the salads are also served on plastic dishes..so, why do we recommend this place? 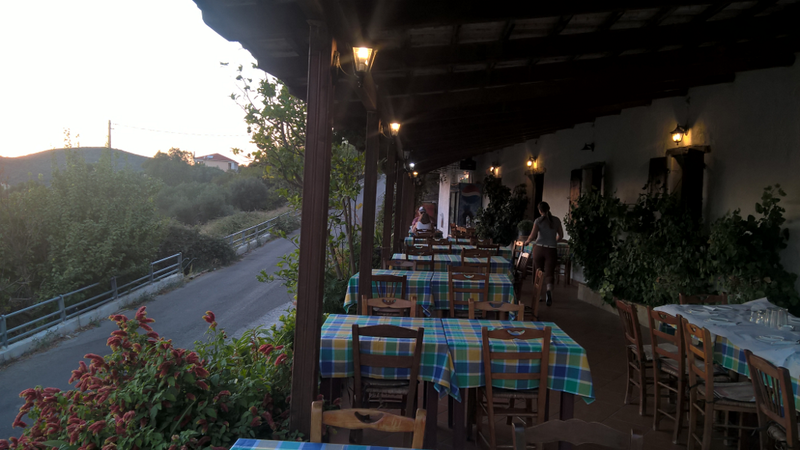 It serves the best souvlaki in the island, the best-fried potatoes, and fresh draft beer..it is also on an amazing spot, on the top of a cliff at Pessada village, which offers a fantastic view at the island of Zakynthos and to other picturesque bays of Kefalonia. The prices are ok although it could be cheaper. 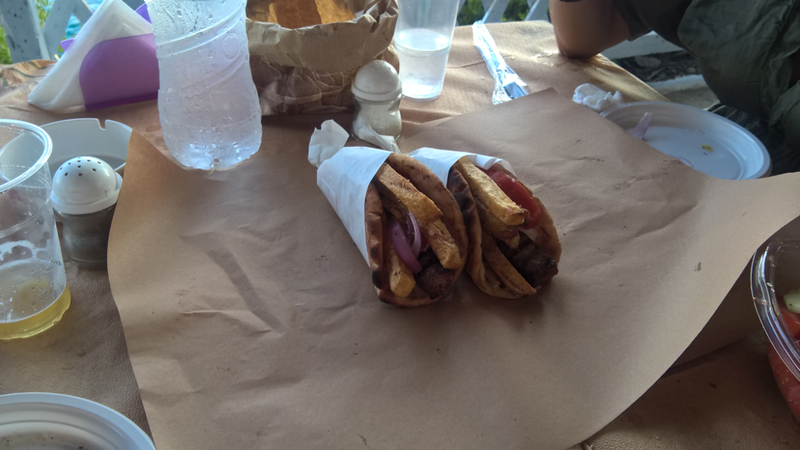 One stick of souvlaki costs 1.6 euros, the 500ml draft beer costs 3.5 euros, a pita-souvlaki bundle costs 2.2 euros and the main dishes of souvlaki or other meats (chicken, burger, etc) cost around 8 euros. The name of this cantina is ” Sunset” and you will find it at the end of the Pessada village, next to the port from where the boat to Zakynthos leaves. Just follow the signs towards the port of Pessada and you will find it on your right hand before the port. 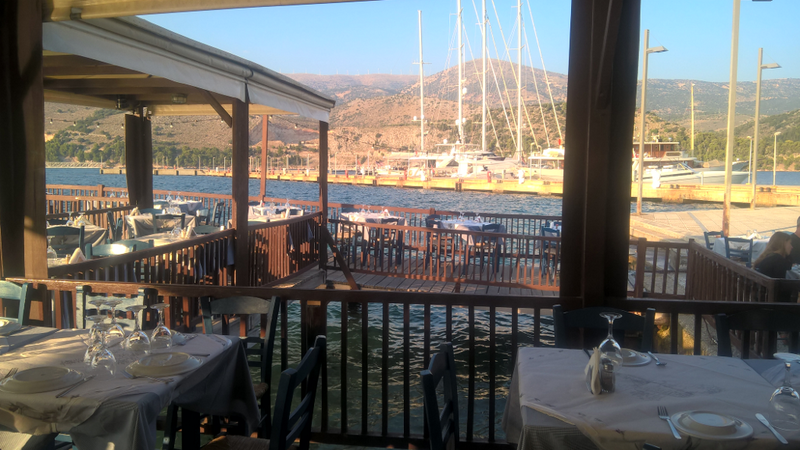 This is a tavern restaurant on a wooden deck on the sea of Argostoli. 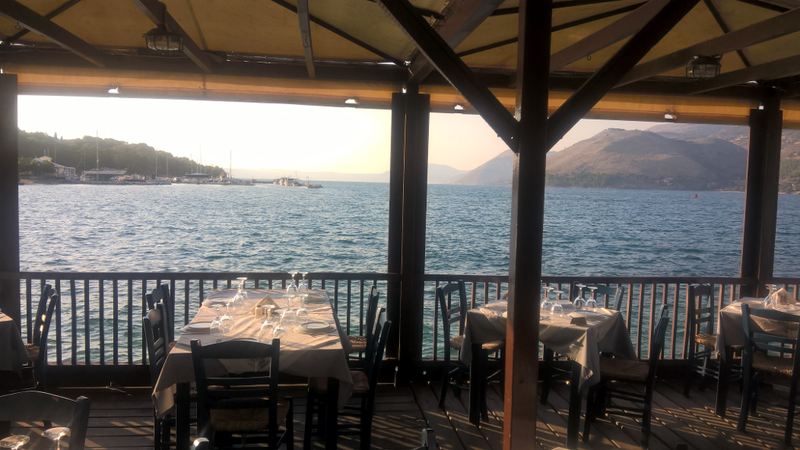 This is mainly a fish restaurant although you will also find mousaka, pastitsio, meat dishes and spaghetti Bolognese. We liked the bacalhau pie and generally the fish. We did not like the smoked heel which was too salty. It also serves mussels and fresh vongole..it is pricey and they usually don’t give you a receipt ( which means that they avoid the 24% vat tax that they charge you..). Make sure to ask for a receipt or it’s like they are stealing you 10 euros for every 40 euros you are paying. Overall we recommend this place for a romantic afternoon dinner. There is very easy and free parking outside of the restaurant. If you are with a kid and you have a stroller you may find it difficult to find an appropriate table as they are all very close to each other. Go before 7 to find a suitable table easily. This tavern serves lambs, which belong to the farm of the owner. So, try the lamb chops, or anything with lambs. A kilogram of lambchops costs just 22 euros here, a portion of “Kontosouvli”, which is pork on the grill, costs 8 euros, a burger costs 8 euros (and it is huge). Moreover, the tomatoes and the feta cheese are produced by the owner, so you may want to try them. The downside is that there are many bees before the sun goes down at around 20:30 to 21:00 which are pretty annoying. Plan to arrive at around 21:00 during August. Make sure you call to make a reservation if it is high season. There is a relatively easy parking next to Hersonas tavern. This tavern is in the middle of the mountains, so there is no view to the sea and don’t expect to find fish here.